This weeks MotW is a tad late, but better late than never! Spawn was sick for the start of the week and then I decided it would be a great time to get tonsillitis! I'm feeling much more like myself today, so got up to put the finishing touches on this weeks Monster of the Week! 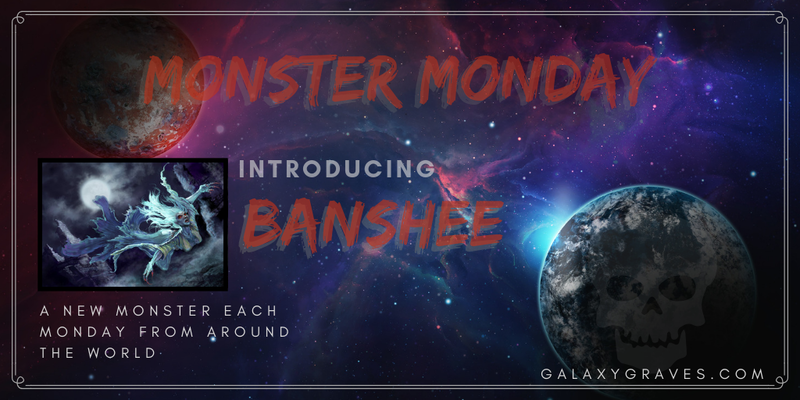 Click below to read more about the Banshee! The Banshee is a being most of us are familiar with in name, but even I was a little fuzzy on it's origins and place in mythology. To be frank I thought she was a witch! Turns out the Banshee is a type of fairy or spirit in Gaelic lore, manifested to scream, sing or wail when a person is near death. The name comes from bean-sidhe, ban (bean) translates to woman, and shee (sidhe) is fairy. It has origins around the 8th century, when women used to sing songs filled with sadness at funerals and were known as "keeners". These women would accept payments of alcohol, which according to the ridiculous times that they were, meant they were full of sin and evil and were punished by becoming banshees. I've read in my research that each family can have it's own banshee, and depending on the relationship the banshee has with the family it can go one of two ways. It is said that there are good and bad Banshees; the good are found when the Banshee is close to the family. They appear as beautiful women, who sing and wail a lament to announce that death is near for a family member. Usually with only the one near death being able to hear them. "Bad banshees" had reason to hate their family, and appear in the form most of us are familiar with, the wizened or skeletal old women with untamed hair. Their howls will terrify you and are to celebrate the demise of a family member. Some say the banshee has three forms, maiden, mother & crone and maybe a death manifestation of the triple goddess Morrigan. Side note: the Morrigan is one of my favourite deities and I work with her often in my spiritual practices. This is further supported by legend saying that Banshees can take the form of crows, stoats, hares, and weasels; all associated with witchcraft in Celtic lore. 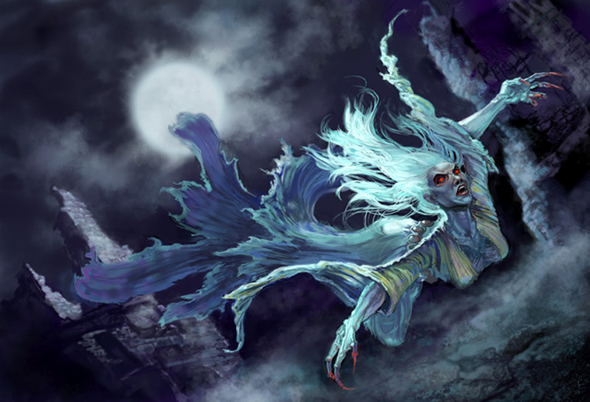 The banshee appears often in pop culture, including a television series by the name of Banshee. 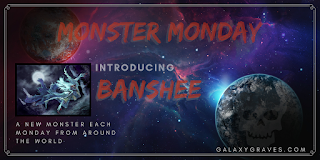 Banshees have appeared in Harry Potter, as a member of the X-Men, Mass Effect 3, Charmed, Teen Wolf and more. 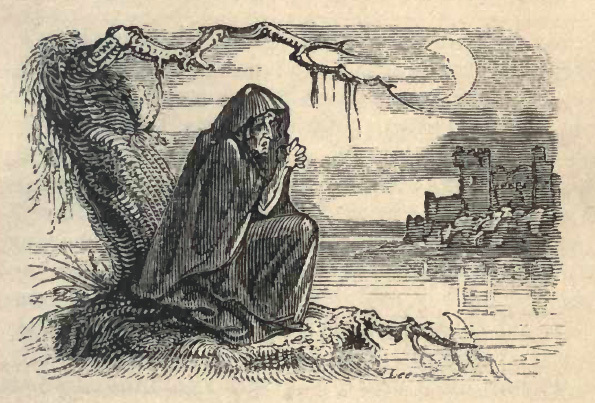 So next time you're out in the woods in Ireland, or down by the river shore - listen for the wails and cries of the Banshee, maybe it will mean your death is next. Hi, I'm Galaxy! I'm a Twitch streaming, art making, bat lover who is trying to blog her way through her messy life to one of peace. I am a macabre obsessed, twirly and chaotic Dangerous Angel, and I welcome you on my journey! There's magic everywhere...just look closer.